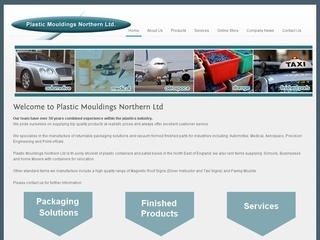 Extensive Content Managed website with full Ecommerce Store for this North East based company that specialised in the manufacture of returnable packaging solutions and vacuum formed finished parts. They are is the only stockist of plastic containers and pallet boxes in the North East of England, other standard items they manufacture include a high quality range of Magnetic Roof Signs, Driver Instructor, Taxi Signs and Paving Moulds, which are all available in the online store. 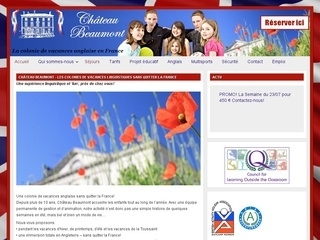 An additional site with full content management for Chateau Beaumont a North East company specialising in providing educational school trips to France. This site is aimed at French children wanting to experience English as a foreign language at their chateau in France. Site is fully content managed by the clients. This site is written in French and targeted for the French search engines and optimised accordingly.